This is such a great classic look and I love the little bit of bling with that pretty ring. 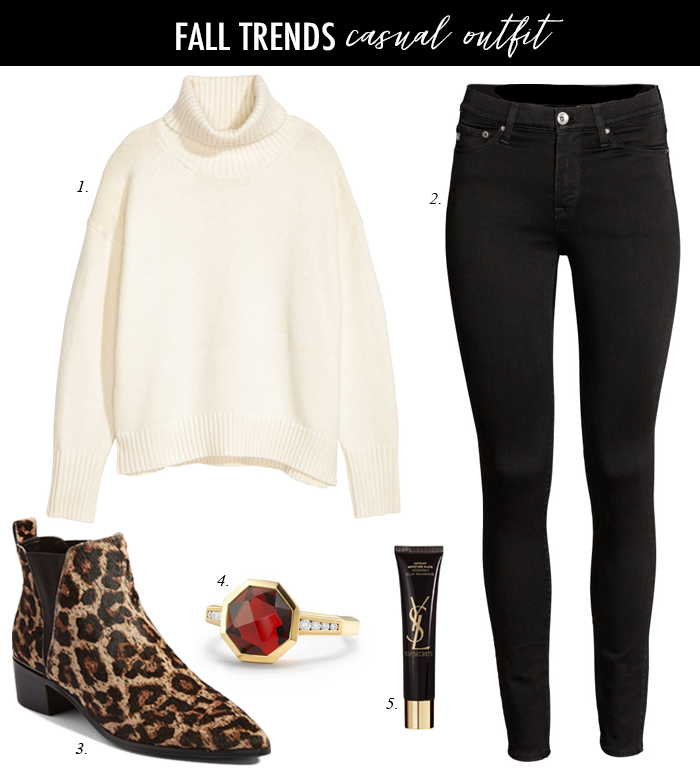 Yup same here we skipped fall and it's the cold rainy yucky whether:( This is the perfect fall outfit, love the pop of leopard! Hope you are well Lisa sorry I've been MIA recently. It didn't occur to me until you said it that Thanksgiving is three weeks from today. That is absolutely insane! I love the leopard booties---we all need a pair of those!